It seems Mazda might not be ready to pull the curtain down on the rotary, at least entirely. Before you crack open that celebratory bottle of whatever it is rotary enthusiasts drink, know that the latest word-on-the-street doesn’t involve sports car, but hybrid. Autoblog happened upon a couple patent applications recently filed by Mazda, both of which talk about extended-range electric vehicles with gasoline engines. The first patent is fairly unremarkable, but the second is where things get interesting because it’s rotary-specific. 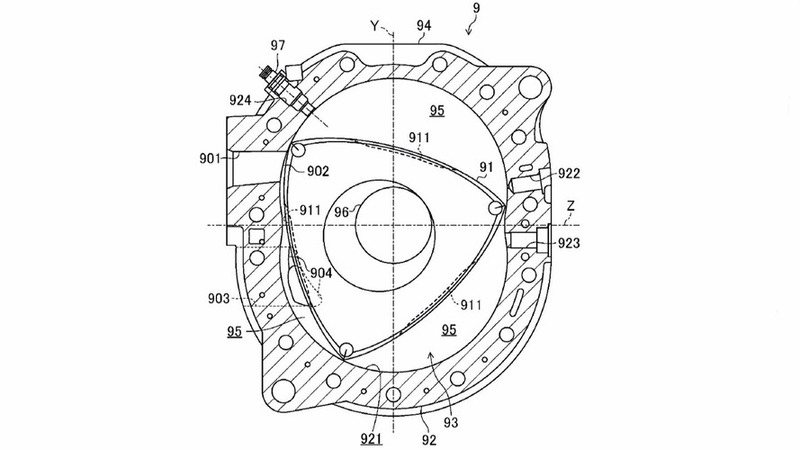 In simple English, the patent talks about a start-stop system for the Wankel engine that would precisely control where the engine shuts down in its operating cycle. Such a design would almost certainly improve fuel economy while reducing emissions, provided the rotary’s finicky nature could function reliably in such a manner. 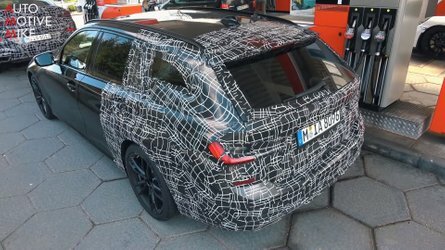 Also included in the second patent is a hybrid configuration for an extended-range electric setup, suggesting that the start-stop system for the rotary would not be used in a stand-alone gasoline application. This isn’t the first time Mazda has gone down the rotary-hybrid street. A few years ago the company unveiled a Mazda 2 plug-in hybrid that used a small Wankel engine as a range-extender. That concept was met with some measure of fanfare, but then disappeared as quickly as it came. 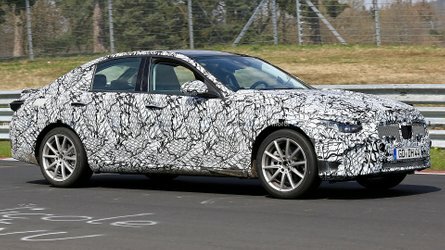 Car and Driver reports that Mazda plans to launch an electric vehicle in 2019, so perhaps we’re now seeing the next step in that evolution. 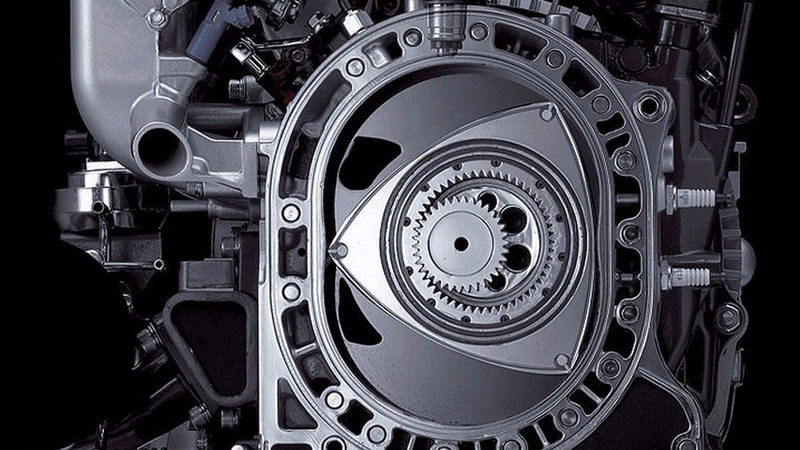 As a high-performance engine, the Wankel rotary has always been polarizing. 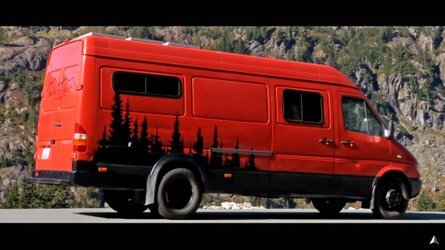 Supporters love the engine’s silky smooth operation and compact size versus the amount of power it can make. 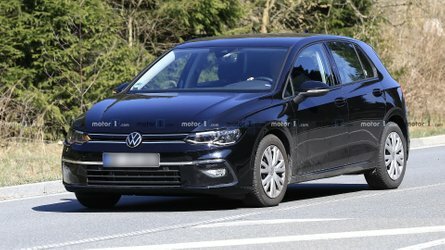 Haters point to a virtual absence of torque, dismal fuel economy, extensive maintenance requirements, and a reputation for reliability that rivals the U.S. Congress. A start-stop rotary application for plug-in hybrids, however, would address fuel economy concerns and make low-torque a non-issue. Obviously having a lightweight, compact engine would be a tremendous advantage, which only leaves maintenance and reliability as potential stumbling blocks. 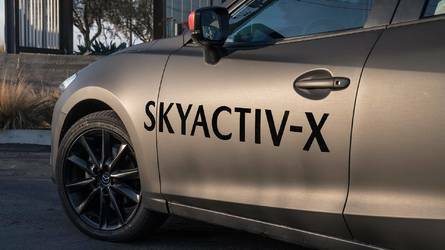 There may not be a future for rotary power in performance applications, but if Mazda can further dial in this concept, the Wankel engine just might live again.